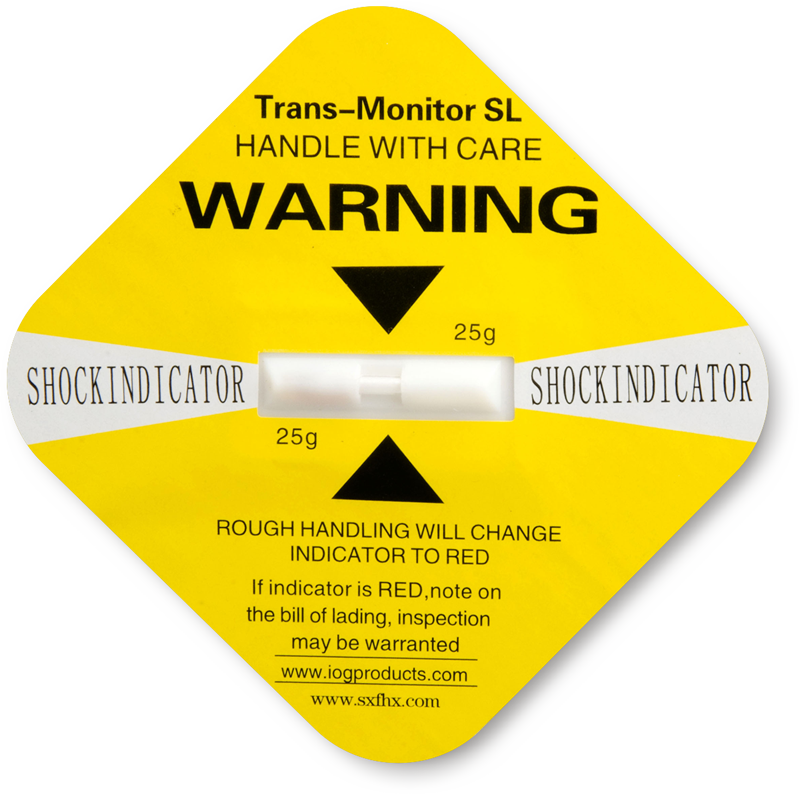 Shock Indicator Label is an easy way to find out if a package is mishandled or damaged during transit. If the package is handled roughly, a plastic indicator turns from white to red. 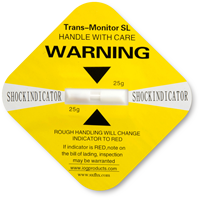 • Yellow Shock Indicator Label has a sensitivity of 25G at 50msec. • The ideal position to apply this label on the package is 0.3 – 0.6 m above the floor. • This indicator label is ideal for heavy pallets, printers and computers weighing over 135 kg, heavy furniture, etc. • Buy these 3.75" x 3.75" labels with a larger 6" x 8.5" companion labels for better explanation of the functioning of shock indicator label. • This label requires special packaging to ensure that the labels aren't tripped or activated in transit. • Shock-sensitive bar in center of label turns red when package is jostled or dropped. • Labels come in 5 different sensitivities based on the weight of the package. Refer to our suggested guidelines to know which label is right for the contents of your shipment. • Larger 8.5" x 6" Companion Labels with instructions for handlers sold separately.